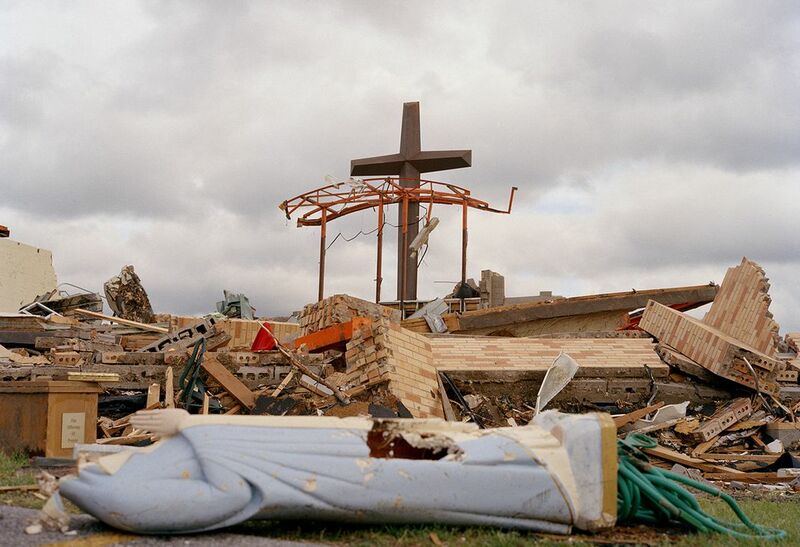 This photograph was taken the day after the tornado touched down in Joplin, Missouri. The crucifix stands on a hillside overlooking the city, and it was one of few structures left standing. Date Uploaded: Jan. 16, 2012, 5:39 p.m.